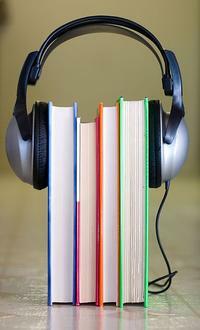 The past few years have seen tremendous growth in the popularity of digital audiobooks. And why not? Audiobooks allow you to couple the imaginative, meditative aspects of reading with the relaxing, go-anywhere nature of recorded audio. While ebooks have their adherents and their detractors, audiobooks are undeniably at home in the digital age. In fact, streaming and downloading could the best thing to happen to audiobooks! As our circulation trends bear out, none of this is news to Free Library cardholders. Digital audiobooks account for about 30% of checkouts from our Overdrive service and over 40% of activity on our Hoopla platform. We're also hard at work improving the selection of digital audiobooks on RBDigital Audiobooks (formerly OneClick Digital). Having three platforms for digital audiobooks is great. It allows us to offer you a wide selection of titles and lets our librarians comparison shop to get the best prices for the content we offer. However, if you want a specific audiobook, it can be tricky to know which platform will have it. Your first stop for digital audiobooks (and ebooks, print books, DVDs, and pretty much anything else) should always be our online catalog. All of our Overdrive and RBDigital content is available through the catalog and we are in the process of adding Hoopla titles. As this project progresses over the next several weeks, you will have a one-stop shop for digital audiobooks. Overdrive, Hoopla, and RBDigital also each have their own mobile apps. While these apps are essential for listening to the audiobooks you checkout, searching for titles within any of them will only show you a portion of what we offer. So for the widest selection, head to our catalog. As a reminder, our Overdrive and RBDigital platforms allow you to checkout up to 6 items at a time. Starting November 1, 2017, you can also check out 4 titles a month from Hoopla (Note: this is a change from the current limit of 10 Hoopla items a month, but the new limit will allow us to offer a very exciting new resource beginning in November—stay tuned for that announcement here on our blog next week!). We hope you continue to enjoy all the audiobooks we provide. Remember, each of these platforms, like all of the digital content we offer, is available without late fees, 24 hours a day, 7 days a week—and at no cost to you—with your library card! Please, please, please let it be Kanopy! Love you guys. I love borrowing audiobooks from the Free Library -- but did not know about the other two platforms. Thanks for the update and keeping working on it. It is greatly appreciated. Aw, pretty bummed to hear that the Hoopla limit is being reduced - and reduced so dramatically. Thank you so much for adding Kanopy! This library is the greatest. What a blow to see Hoopla's limit reduced so drastically this month. It's been so beneficial to have it. Please consider raising it again. I am very disappointed that the Hoopla limit was changed from 10 items to 4 items, and not all that excited about selection of movies of Kanopy. If it came down to being able to afford all of these programs, I'd rather stick with Hoopla. They have a much larger catalog. My main interest is audio books. I already can stream movies through online streaming services I subscribe to, many of us have cut cable and use Amazon or Netflix. The reduction in Hoopla checkouts, which I use for audio books, in order to add another movie streaming service, while new items are so rarely added to the Overdrive audio book selection recently and the hold lines are so long with Overdrive, is severely disappointing. As an out-of-state patron who has paid for several years to access e-library material I am finding less that is exciting about what FLP has to offer in audio books. I realize it must be difficult to please everyone, but please spread some love to those of us who enjoy the audio book selections. I joined The Free Library because of the the great online reviews and comments about how great the audio book collection was for the out of state fee. Hoopla limits being one of the biggest selling points for me due to the fact my own library did this, cut the limit on Hoopla to 4. I listen to books instead of watching t.v. so putting in a streaming movie service is worthless to me. 4 books will not even last me a week, maybe 3 days considering I just listened to 3 books in 2 days. Needless to say, you have lost a parton as I will not be renewing my card. I joined The Free Library for a greater access to books, audiobooks in particular. I have no desire to add another film streaming service to the ones I subscribe to now. Reducing the number of books I am allowed to checkout via Hoopla greatly reduces the value of my library card. If the number of checkouts remain under ten, I will not renew my card next year. Please raise Hoopla's limit back up. I only use it for audiobooks and ebooks. I have no interest in videos. Four little titles makes it hardly worth using the service. You guys are awesome at the Free Library for all the amazing resources you provide, so thank you! But I have to agree that 4 items a month is a pretty drastic change from 10. I too mostly use Hoopla for audiobooks and don't care as much about the movies. Please, please, please consider raising the number of hoopla checkouts again!! I've just discovered online Audio books. I put in a request for hold and I'm # 14 of 15. But I don't understand how digital book holds work? And I can't find info on site (I tried). Do you need to stream the book or do you download it and is there a length of time you need to finish it? Thanks for help.